Launching: our new flavours of pies! 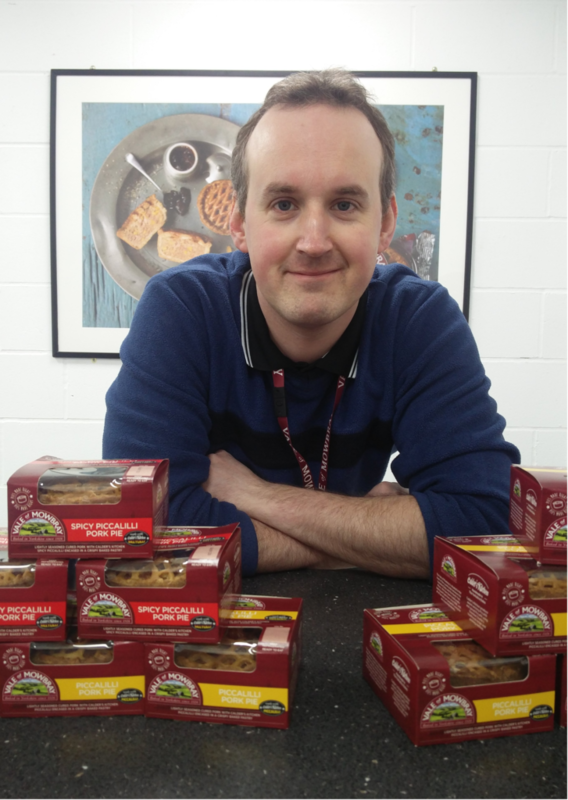 Following on from the release of our amazing new piccalilli pork pie and spicy piccalilli pork pies, we spoke to Carl Barker our Senior Development Technologist about the process of brining these pies to market. We are always working on developing new flavours and whilst attending one of the many food festivals that we go to I ended up chatting with Andrew at Calders Kitchen who produce a range of premium products. After tasting their Piccalilli, I knew straight away that this would be an excellent flavour to combine with our deep filled succulent pork pies. You mentioned different pie flavours, would you care to share with us what these are? Unfortunately only our expert team have access to our most top-secret development flavours. However, I can say several new flavours are already in the pipeline for this year. Can you tell us more about the new piccalilli pork pie and spicy piccalilli pork pie development? Yes, the pie has been an instant hit with everyone that tries it. We initially created the pie back in October 2018 and after a few minor changes to give the best flavour possible we arrived at the fantastic pie we have today. How would you describe the flavour of both pies? With the Pork and Piccalilli pie – The piccalilli imparts the sweetness of the fresh pickles and crunchy vegetables into our succulent meat fill and combines this with the crunchy golden pastry to produce an outstanding and original pie. With the Spicy Pork and Piccalilli Pie – this delivers a delicious Indian spice and mouth watering flavour with enough heat to make your taste buds tingle before leaving an enjoyable warm glow. This combined with the crisp pastry and succulent meat fill produces a pie with amazing depths of flavour. Now for the big question… Do you have a favourite and if so which one? Oh that’s a tricky question, they are both amazing pies. It’s a bit like being asked to choose a favourite family member (I love all my pies equally!). My best suggestion to everyone is to try one of each or better still get 2 of each that way which ever one you prefer you have a whole one to yourself that you don’t have to share. Thanks Carl, we look forward to trying some more of your wonderful creations in the future.